Peel sweet potatoes, and with your Wusthof Chef knife cut diagonally into 1/2-inch-thick slices. 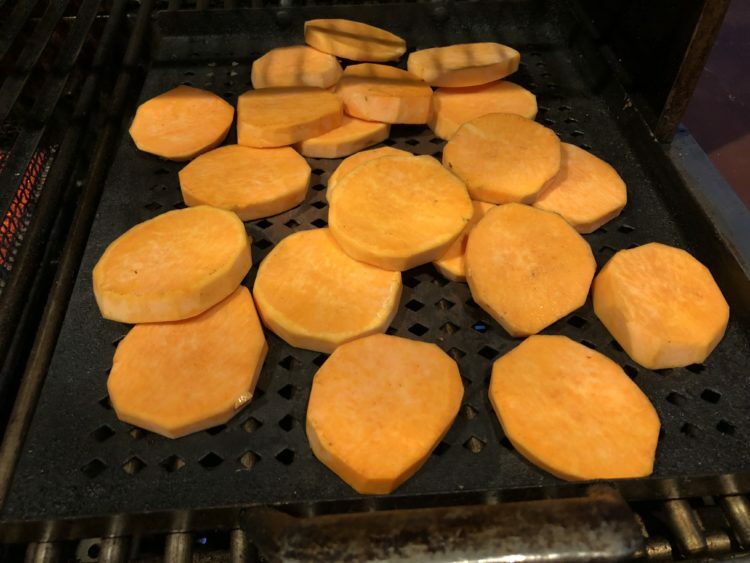 Place sweet potato slices on grill rack coated with cooking spray; grill 18 minutes or until tender, turning once. Place onions on grill rack during last 2 minutes of cook time; cook onions 2 minutes or until browned and tender, turning once. Cut onions into 2-inch pieces. Combine olive oil and next 4 ingredients (through red pepper) in a large bowl, stirring with a whisk. Add sweet potato and onions; toss well. Delicious Grilled Sweet Potatoes! Yummy!